Oooh sooo much like my own attitude! Neurotypicals often described Aspergers as a “syndrome”. An idea as absurd to me as having curly hair syndrome or green eyes syndrome. So…my brain has more and more densely packed neural pathways…that gives me a good memory, often word for word. It gives me a high IQ and a perspective referred to as HIGHER FUNCTIONING. I forgive those with lower functioning all the time…those with “Neurotypical Syndrome”. It doesn’t make me better…it’s just my brain formation. It isn’t like socipathy or borderline personality disorder that may need meds. There is no treatment except lifetyle habits for Aspers…because there isn’t anything wrong with us. On the other hand, those who rank highly on the narcissistic (lower functioning) spectrum, have problems with co-dependence, a need for external validation and self esteem issues that would be alien to me. When I consider this, I almost pity their more ego centred perspective – to me it looks like being neurotypical must be quite a bind. The cover that proves…yes…#highfunctioningautism doesn’t mean you don’t have emotions! Song begins at about 6 mins 30…intro poss not a good idea b/c I start crying b4 I finish it! But the 2nd take which runs straight afterwards, was ok.
Not sure about the recording…sang in my natural voicd but sound a bit off key in places and on my bluetooth speaker the backing track sounds too loud for my voice! 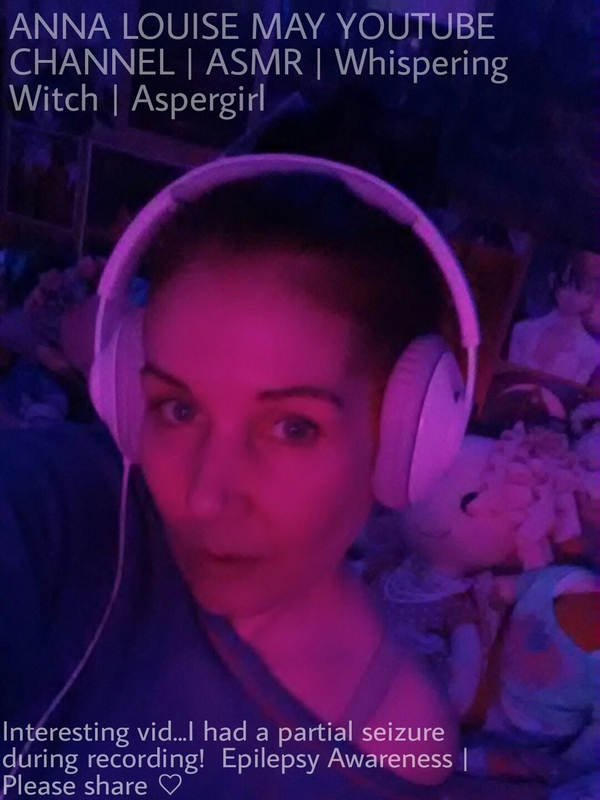 But it is just me with a speaker playing the backing track and singing at the camera with no edit. 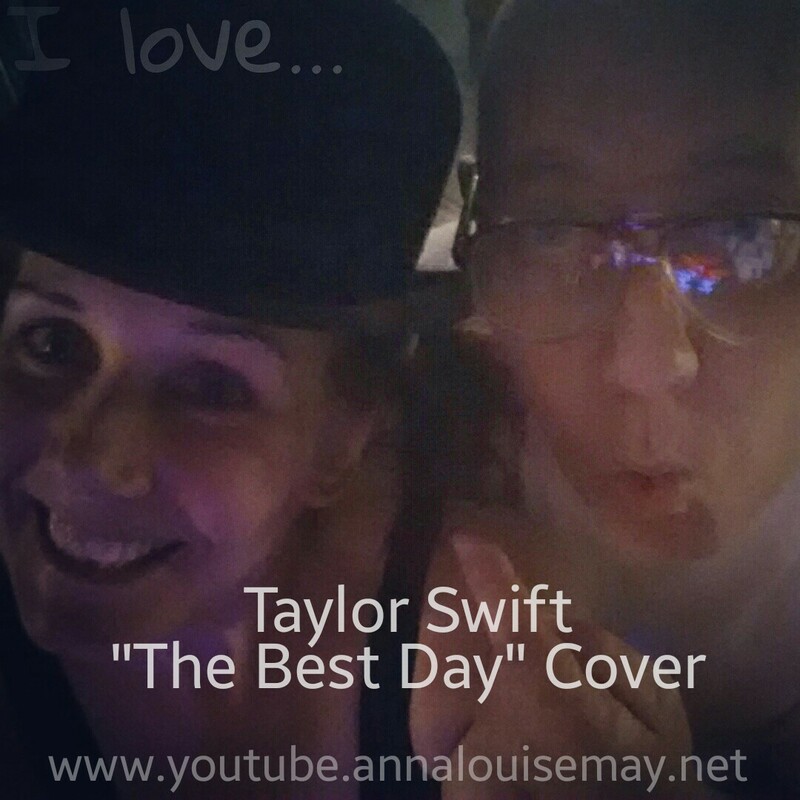 Song is #thebestday by #taylorswift on #asmr #whisperingwitch channel (info on that is in the info in the dropdown below the video)…& I go on to explain why I was moved to tears first time round! Dedicated to my dad ♡ who died in September. Photo is of me with dad…who wanted me to promo cancer awareness and using #energyhealing (which I teach online through http://www.mayastar.net) and #reiki to assist transition and symptoms even in terminal cases or while someone is in the “active phase of dying). It can he used to help relax, reduce symptoms in some cases and help smooth the emotional journey…for the patient and those around them if they are receptive. It also helps loved ones to feel they are able to do something to help and that can be important later to reflect on. At the time this photo was taken dad had only a few months to live. As you can see…he didn’t look like he was dying. Didn’t actually look like he was 67 either! But at this stage he was on #chemo. He had a numb area on his face and gradually that spread. His death came quicker than expected (the younger you are the faster cells replace and the faster some types of tumour can grow). 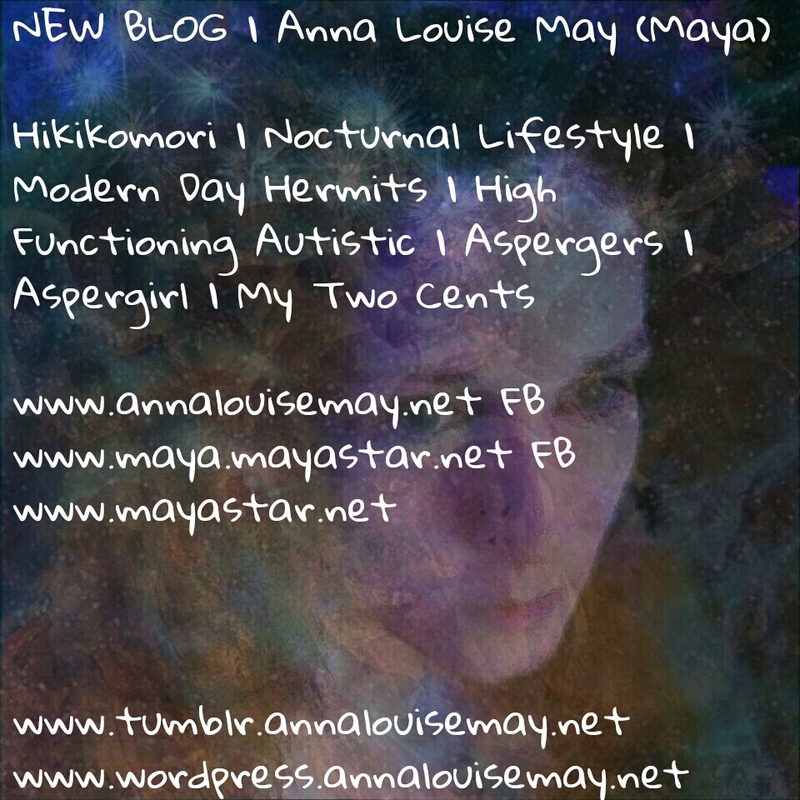 I’ve blogged abt my aspergers…vlogged about my aspergers. And being able to use my High Functioning to do my work and do it in ways that a Neurotypical couldn’t, is a fulfilling experience. Living within my means when it comes to social connection, sensory stimulation (have to be more careful because those thing can trigger seizures – perhaps more now than when I was younger), and managing the additional anxiety (aspies make less oxytocin than neurotypicals – that means we don’t have the same way out of stress – most of us develop strategies for that through experience though so that’s something that’s become much easier with time for me). But sometimes…one of the most depressing things to hear, is someone saying my brain wiring is a syndrome…is your eye colour a syndrome? Would you feel weird if people said you had been born with curly hair syndrome? I’m sure you would. I feel the same when people see my autism as separate to me. Or they disregard or judge certain aspects while celebrating others. As if certain parts of me are not really connected. I don’t feel that way in myself…I think perhaps it reflects a limitation of the neurotypical mind that it can’t conceive mine as integrated! People who know me know the challenges I have worked with – my total recall memory for example…great for learning but a nightmare if something bad happens and you remember it. For me…the best thing that ever happened to me was my formal diagnosis – it meant I could research it and many more things made sense. Also, when you understand the physiological root of some tendencies it’s far easier to look for useful changes in behaviour or habit that will make life easier. My routine is vital to my well being for reasons different to those a NT would cite. But if it means I eat healthy, exercise, don’t drink or smoke, meditate regularly etc. These are habits that would probably benefit a lot of people! My habit of being nocturnal also helps a great deal but it works well for me. Magick (the actual process of Self Realisation – not the card game and not conjuring! ), was my special interest from an early age and now that’s a huge advantage in my work (teaching online courses for energy healing, spiritual development & meditation – and doing ritual work to help people). If it wasn’t for the extraordinary advantages that come as part of my autism, I wouldn’t have the extraordinary life I have now. While I appreciate the views of people talking about the “hikikomori problem”…with respect, if you are not by nature a loner or naturally tend towards a hermit lifestyle, how can you judge someone as having a problem if they do. The problem is yours, rather than theirs. I am sure Hikikomori don’t really care about the opinions of people who don’t have anything in common with them. And I say this as a natural hermit myself. Being a hermit doesn’t make me loney or deficient. It doesn’t cause me problems. 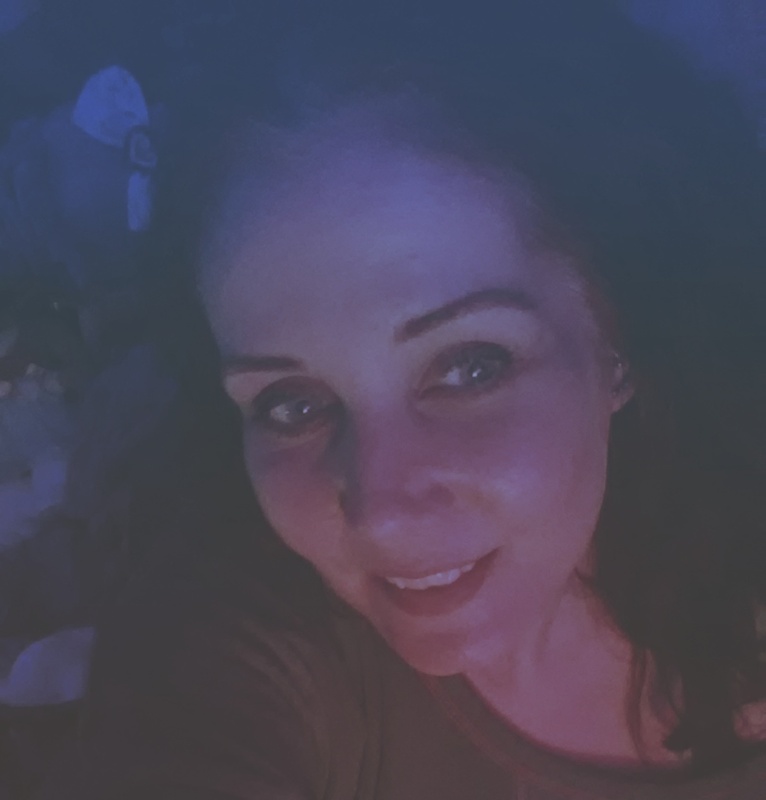 Some might say it doesn’t cause me problems because I am a high functioning autistic and I work from home teaching – I love what I do and my hermit lifestyle suits my work. But way before I worked to achieve that option, I worked a 9-5. Then a night shift. I deliberately limited social commitments because I don’t need them the way Neuro-Typicals do. During times where I was working on something or dealing with something internally, it wasn’t unusual for me to go months living as a hermit. I checked in with my family and friends who accept me as I am and understand that sometimes, what works best for me in life is being a shut in. After being nocturnal for 16 years of work, I have remained nocturnal for the last 24 years. That naturally limits my social contact and also I enjoy the peace. I have a few close friends and they know me and love me as I am. As do my family. Mostly ensuring if they want to see me or to go out or away, we arrange it in advance. I see my boyfriend every evening – he also accepts me as I am. He does go out of his way to ensure I don’t get so focused on my work I neglect to see my family! He knows currently I don’t want to go away…it’s been a heavy year personally. But he also understands that’s just how I take time out to deal with things and that although I will never be a socialising extrovert with a need for external validation through social interaction like non-hermits, I won’t be unhappy. For someone who needed to socialise and required external validation through it I can see being Hikikomori would be a problem. They would be unhappy. They would be restricted by the lifestyle and feel they were missing out on what they really wanted. To me, Hikikomori is a problem only to the Hikikomori who wishes their life was different. I would have a bit more time for “critics” if they didn’t assume that they are “normal” and qualified to speak on someone else’s behalf. Perhaps their need for social feedback is a deficiency that the natural hermit doesn’t have??? I would rather see something more balanced about how the natural hermit (once accepted by society) has now become “a problem”. Lots of people choose lifestyles out of step with the norm…are we gonna talk about the “problem of Buddhist monasteries” and the “enclosed religious orders of Catholicism” too? Are they all deficient in some way? I have lived in a monastery for a short period…I didn’t meet anyone there who wished to be anywhere else…I didn’t meet anyone who rashly made the decision or was unhappy with it. Just saying…some Hikikomori may have problems with depression etc. Or loneliness. They may not all be natural hermits. But please, please, please, stop judging people who are different and considering their degree of departure from the “norm” their degree of “deficiency”. I observe a lot of “normal” people who are unhappy…a lot of people doing what is considered “normal” isn’t necessarily a good thing!